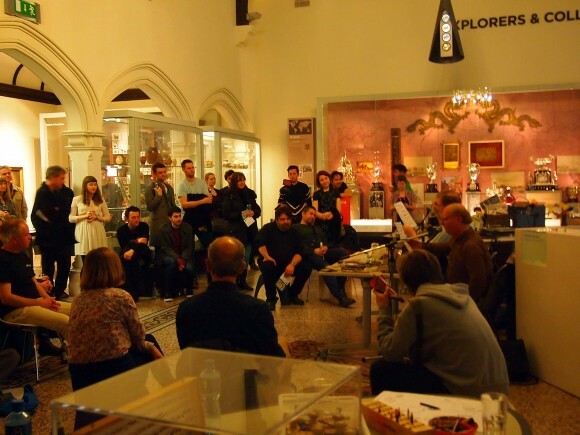 Switched On Radio Arts Event at the Beaney Museum Canterbury curated by sound artist Magz Hall from Magz Hall on Vimeo. 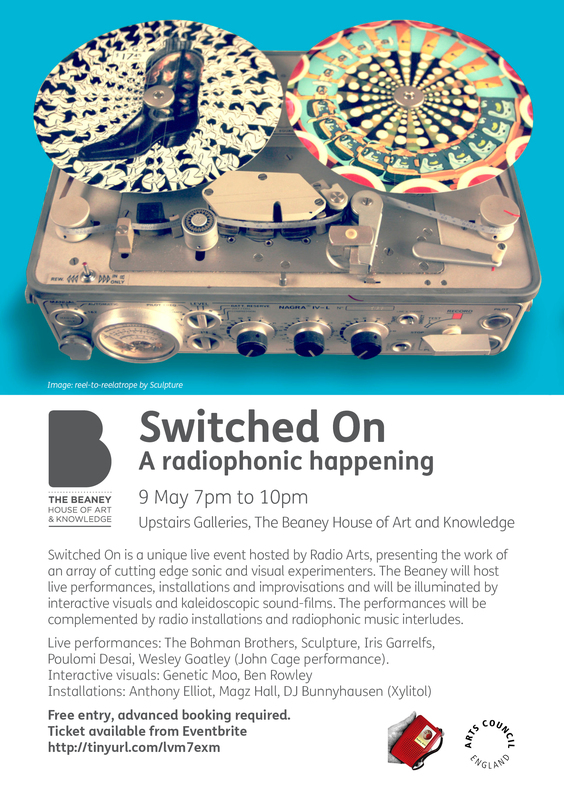 Switched On was a unique live event hosted by Radio Arts at the Beaney Museum Canterbury, presenting the work of an array of cutting edge sonic and visual experimenters. 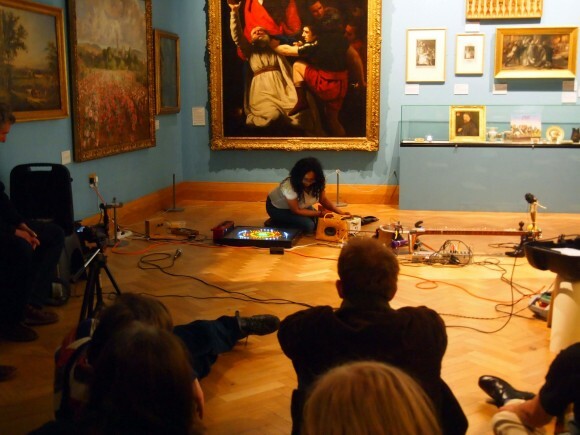 The upstairs galleries of The Beaney hosted dazzling audio-visual tape manipulations of Sculpture, The Bohman Brothers’ improvisations with found texts and everyday objects, time-travelling outer-space communication from digital artist Iris Garrelfs and a performance for prepared sitar from Poulomi Desai. Wesley Goatley performed two of John Cage’s works for radio with performers Danny Bright, Magz Hall, Bob Lamoon, Nicola Schauerman and Emily Stone the galleries were illuminated by the immersive interactive visuals of Genetic Moo and the kaleidoscopic sound-films of Ben Rowley. The live performances were complemented by radio installations from Anthony Elliott. DJ Jim Backhaus (Xylitol) provided interludes of radiophonic music. Thanks to Sound engineer Paul Speare. The event was curated by Magz Hall.